There was no shortage of horsepower and low ETs at the NMCA Bluegrass Nationals. Steve Summers recorded an impressive 206mph top speed during qualifying. 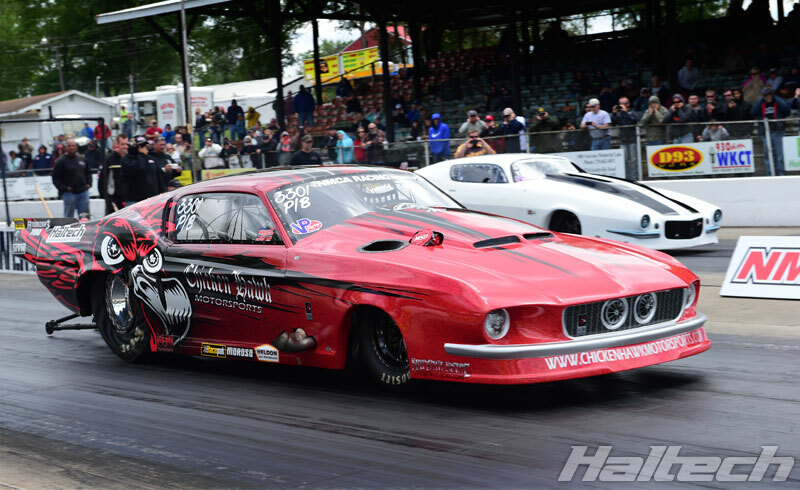 Fitted with a brand new Haltech ECU system, Summers then set the fastest MPH in ProMod class (210mph over 1/8th mile). Steve beat Thomas Jones in Round 1, Craig Sullivan in Round 2 but lost to Stephan Stringer in semi finals. Steve’s 70 1/2 Bicklel-built Camaro is powered by a Jasiek Racing 522ci engine with two 88mm Garrett turbos providing boost. Engine management comes via Haltech Elite 2500 expertly tuned by Patrick Barnhill. 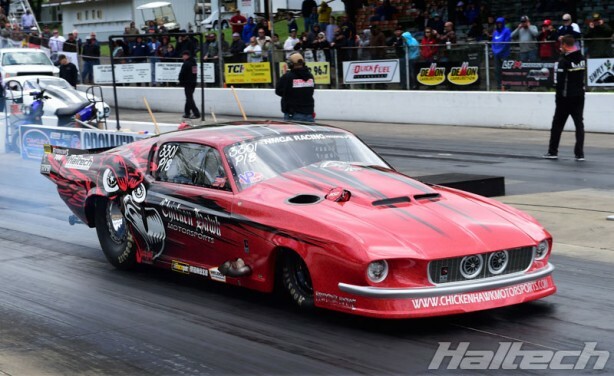 Chicken Hawk Motorsports debuted their new turbo ProMod Mustang. 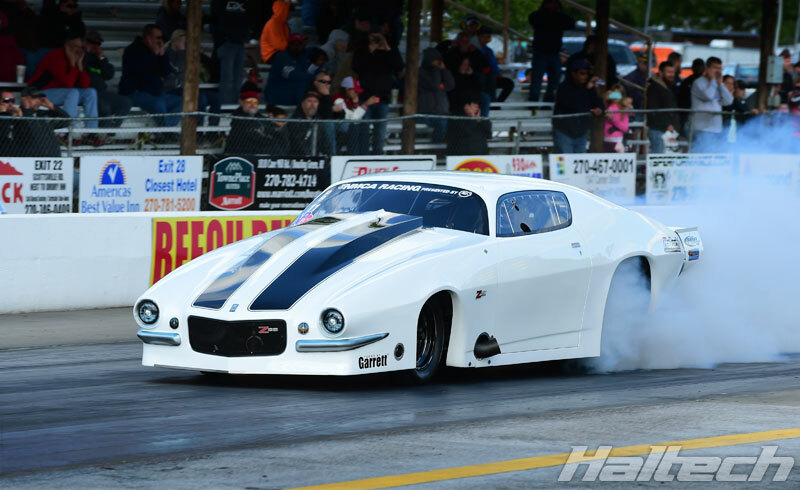 Driven by Thomas Jones, the car is equipped with an all-Haltech engine management system.